Fluoroplastics, Volume 2: Melt Processible Fluoropolymers - The Definitive User's Guide and Data Book compiles the working knowledge of the polymer chemistry and physics of melt processible fluoropolymers with detailed descriptions of commercial processing methods, material properties, fabrication and handling information, technologies, and applications, also including history, market statistics, and safety and recycling aspects. Both volumes of Fluoroplastics contain a large amount of specific property data useful for users to readily compare different materials and align material structure with end use applications. 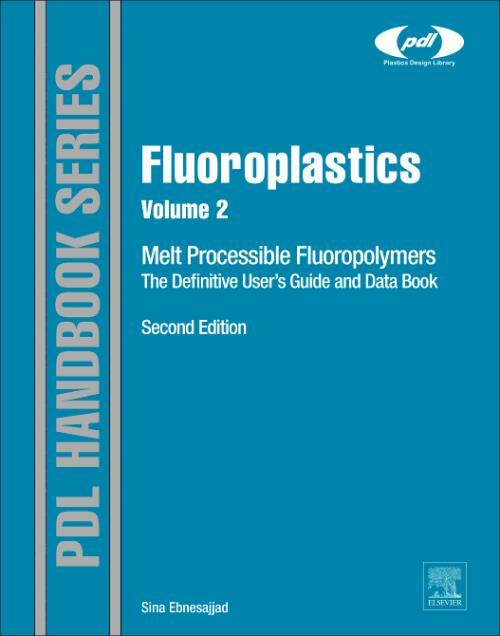 Volume Two concentrates on melt-processible fluoropolymers used across a broad range of industries, including automotive, aerospace, electronic, food, beverage, oil/gas, and medical devices. This new edition is a thoroughly updated and significantly expanded revision covering new technologies and applications, and addressing the changes that have taken place in the fluoropolymer markets.